Not since Brian Koppelman’s cult classic Rounders has a “poker movie” garnered as much attention as the just-released Molly’s Game. While most people would agree that the film is more a story about title character Molly Bloom’s life than the game itself – much like the book on which the movie is based – poker is undoubtedly a critical part of the backdrop for that story. 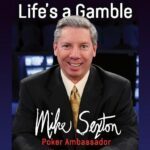 As often happens when mainstream productions wish to shoot multiple poker scenes, a “poker consultant” is hired to help ensure their authenticity. Just about a week ago, I noticed a comment made by someone named “Josh L Allinevents,” in a Facebook group I’m a part of, claiming that he was the movie’s poker consultant. 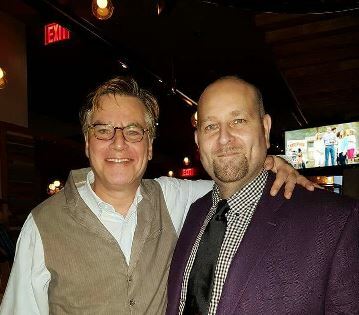 While I admit to being skeptical, the prospect of having a conversation with such an individual and learning more about what being a movie’s poker consultant is all about appealed to me, so I decided to investigate. Lo and behold, it turned out that the commenter – Josh Leichner – was legit after all! I was quite surprised when he told me that he didn’t have a Twitter account, and that he was thus unaware that many in the poker community were giving some choice feedback about the film’s poker scenes (until I had informed him). He immediately opened an account, belatedly becoming active in that discussion, some of which you’ll see quoted below, but there’s SO much more to Josh’s story. Josh and I have been corresponding quite a bit over the last week, and it has been an absolute pleasure. He’s a true mensch and it’s a privilege to be telling his story in the feature-length interview below. 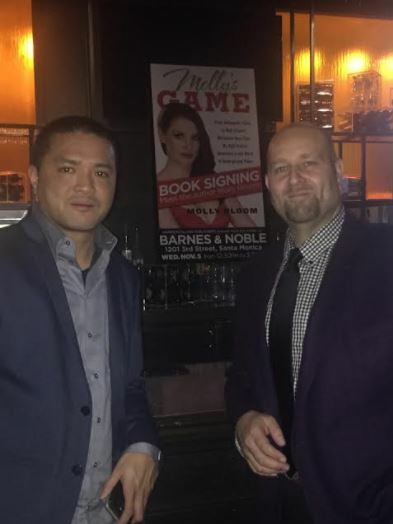 Without further ado, I hope you enjoy this exclusive, behind-the-scenes look at Molly’s Game from the singularly unique perspective of the film’s poker consultant. Let’s start out with a softball. Tell us a little bit about yourself and how you first got into poker. 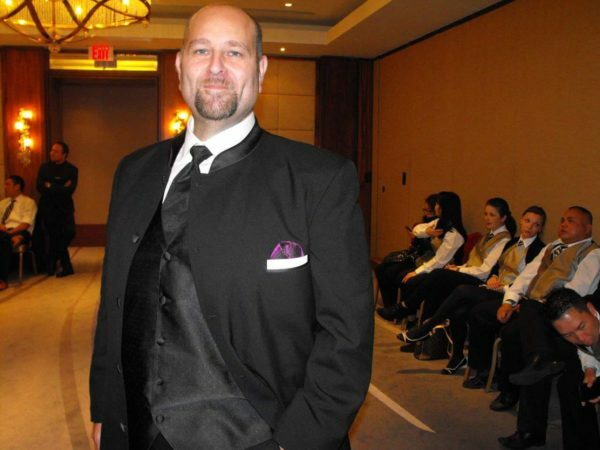 Well, at 45 years of age I’ve been in the poker scene for approximately 20 years locally here in Toronto, Canada. I attended York University and Seneca College, majoring in Business Administration. I turned down a career in radio to instead enter into a father-son partnership in a food distribution company. After four years of hard labour, we received an offer to sell from a competitor that we could not refuse. We accepted and I was free, newly married. Poker came into my life as a hobby. I’d do the weekly home game, you know – a million wild cards, parlour game fun – until the day back in 1997 when I watched a WSOP taping on ESPN on my satellite dish. I thought to myself, “Hey why can’t I run a poker tourney like they did?” Tournament poker was not mainstream yet, so I did some research. I invited 20 friends over and we ponied up $200 apiece for a $4,000 prize pool. I hired a local company to send me two tables and dealers for the night, we ordered pizza, and four hours later a pair of pocket aces won me the tourney. Monthly tourneys followed and my father-in-law built me three premium poker tables. Friends started wanting to host similar games, so they rented my tables. That’s pretty much when I got the bug for the game. Fast forward a couple years and eight more tables built… word of mouth got me bookings for stag parties and private games. I built a network of emails (texting wasn’t such a thing back then) and I was able to start deriving an income stream from running my own tourneys and profiting, as well as being a supplier. I ran my first huge tourney back in 1999 at a local underground club. We had 90 players show up and we sent the winner to the WSOP. The underground cash games in my area started to pick up and new clubs started popping up. All of the proprietors wanted my involvement and my network. I hashed out deals all over the place, and I became recognizable to the poker culture in Toronto. I’d also like to mention my business partner, Albert Choi. He was a dealer in my games dating back to the late 90s. He gained my trust and my friendship, and eventually he made an investment in 15 brand new tables in 2008. That’s when we officially became partners and started to share the workload. He is my trusted companion in the event business, staffing dealers and handling event execution. We remain together to this day and have grown the business substantially. 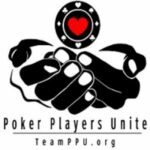 Without being disrespectful, of course, it appears as though the overwhelming majority of the professional poker community has not heard of you. Furthermore, your HendonMob profile indicates just a single tournament cash, from July 2016 for $723. That seems just a tad unusual for someone so deeply involved in poker for upwards of 20 years. Easy answer: ever since I started out in poker, my involvement has mainly been in the underground scene. All of my cash game scores, my underground earnings from rake, local tourney cashes… it’s all undocumented. I frequented local casinos and still play in sanctioned tourneys to this day, I’ve just never kept track of any of it. Poker players tend to want wins and glory; a status. Sure, I want all that, but it’s not a priority for me. I’ll walk into a local casino or even in Vegas and run into 50 people know or who know me. I’ve done work for guys like Daniel Negreanu and Eric Lindgen. 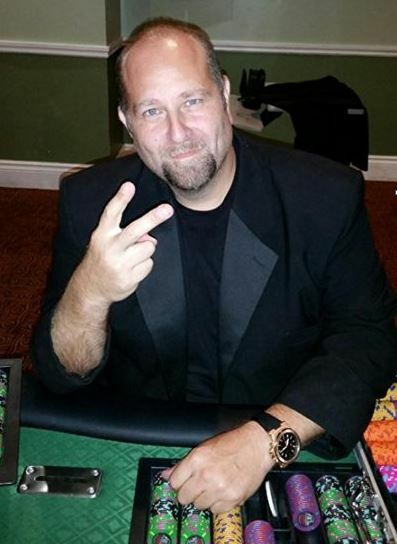 I’ve played at tables with Gavin Smith, Antonio Esfandiari, Barry Greenstein, and countless other poker pioneers. But I’ve never written a blog post nor did I ever take heavily to social media. Heck, Twitter only started for me a week ago when you mentioned the feedback that the poker scenes were getting there. So, sure, no one “in the scene” really knows me. That may change; who knows? But it doesn’t serve as a measure for me. I have plenty of time to be a narcissist, lol. Okay, so how did it come about that you in particular got offered the position as a poker consultant for Molly’s Game? To a large extent, that materialized as a result of the work I’ve done and being in the right place at the right time. The film’s Prop Master called me after I was recommended by a poker culture colleague here in Toronto. Without identifying the project he was involved in, he just wanted to know if my company could help supply poker implements for production. He also mentioned that the crew was also hoping to get some advice on authenticity and feel about some of the project’s scenes where poker was to be involved. At the time, I had no idea who the director was. Albert and I took the Prop Master out for lunch and I went over what the culture was like. I described at one point how poker was a microcosm of life. Why do people play? Why is the game so inclusive? I explained that sitting at a poker table allows people to exert influence over others, to flex a little bit. The game allows you to make money moves and exude power and strength. I explained that the game lets you outright lie and deceive, but do so in an acceptable arena, and that, for average Joes it’s attractive to have some power, win some money, and measure your smarts. The Prop Master was floored. A few days later I was emailed excerpts from the script to read. A week after that, we were sitting in the studio office in town and as I walked in to meet the Director. The sign on the door said “Aaron Sorkin.” My jaw dropped. “This is the guy I was telling you about,” said the Prop Master, as I was introduced to Aaron. That’s when I realized this wasn’t just some TV show in the works. I knew Molly’s story and had even read portions of the book, but now it was all coming together for me. In the meeting, I simply regurgitated the info I had conveyed to the Prop Master. Aaron mentioned that they’d Googled me and that the first item to come up was an article from back in 2008 from the Toronto Star about me getting busted and charged for running an illegal poker game. Yup. I did the same thing when we first connected via Facebook. I have to admit, that’s part of what made me skeptical in the first place. Care to explain? I got the call in bed from a gaming task force officer. He called from a friend’s phone (my dealer at the game) and told me to come down and answer to the warrant or that they’d come get me. So I went down to the station. As I mentioned at the outset, I spent years running games, partnering with underground poker clubs, sharing my networks, and profiting from the games. It caught up with me, as is always the case. After being charged with keeping a common gaming house (a criminal code offense here in Canada) I was shown discovery documents that included poker forum postings and emails I had sent to my network with recipients blacked out. Someone who attended my games had gotten themselves into trouble and offered information on my operations to most likely better their plight. An undercover officer took his place at one of my cash games for several weeks in a row. He willingly lost, lol, but he was a real good sport. I had even made a joke out loud at the table one day that he “played like a cop.” I remember the stone-faced look I got from him. At the time, I had no idea why. Sure enough, a few weeks later he was the one that called me from the game where they were executing the warrant. My name was on it. In court proceedings along with the others charged , my lawyer made a peace bond offering to the courts in which I was to make a $1,000 donation to a charity of choice and promise to stay away from illegal poker games for one year. The charges were dropped. No conviction. I stayed away… for all of one day. But I decided to “go clean.” Along with my partner, we turned the business (All In Event Management) into something mainstream and legitimate: charity fundraisers. We’ve consulted lawyers on how to run them, crossing all the t’s and dotting all the i’s so as to stay within the laws of the land. To this day we flourish and remain at the top of list amongst the private and corporate gaming rental and event execution firm to athletes, business moguls, youth sports teams and organizations, and even bar mitzvahs! How did Sorkin react when you told him all of that in your initial meeting? The meeting lasted for about an hour, and I spoke a lot about the eerily similar path I had taken to Molly (minus the millions) as well as discussing my overall knowledge of the game and its underground culture. I signed an NDA, they emailed me the script, and I was asked to report to the set for the start of poker scenes. 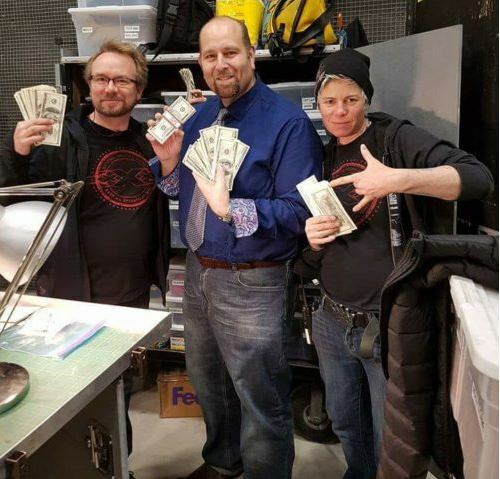 In your nearly 20-year history of organizing poker tournaments and charity “casino night” fundraisers, what unique experience and perspective do you feel you brought to the set of Molly’s Game that “traditional” poker room staff or tournament managers don’t have? I would cite my fearlessness and public speaking ability. 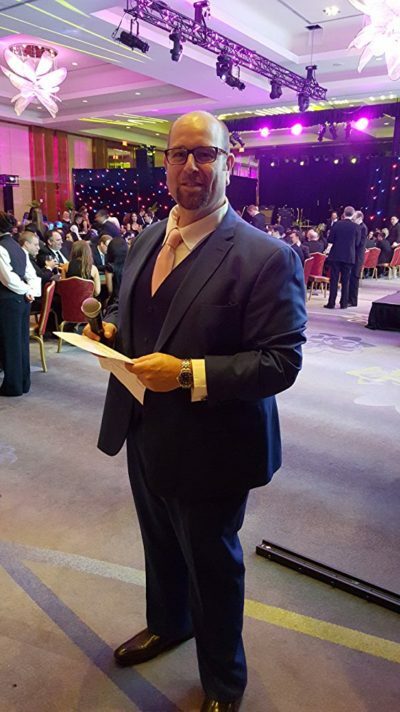 Running events AND being the emcee and pit boss for multimillion-dollar fundraisers gave me the confidence to sit there and come across strong and well-presented. I spent the better part of two decades training staff and mentoring our colleagues in becoming gaming professionals, even if it was just their side hustle. Dealing with staff and clients alike and building our operation’s reputation totally armed me with the tools to present as more than qualified to add input and contribute to the success of this project as it pertained to my expertise. Your role in the movie’s production lasted for about three months. Describe your job in general and what the work was like day-to-day. I was on set from start to finish, usually around 12 hours a day. Before shooting scenes, we organized boot camps with a poker table and supplies to gauge actors’ ability. Our day also included being on-hand for the blocking of scenes and rehearsals to oversee dialogue, movements, and interaction with poker props to point out if and how anyone could improve upon their performance. For example, how an actor picked up or looked at his cards, threw his or her chips, and every basic poker table practice imaginable. We worked very closely with the props team because every time a scene had to go back and reset for another take, the cards, chip stacks, and pots all had to go back to exactly the settings, positions, and levels. The deck had to be backed up for dealing and flops. This was an arduous task that took time. Before the action began, we took pictures of each player, the table, and the surroundings, right down to drink placement so that we could get the frame of reference perfect. There were also interactions with the script supervisor over the polishing and verbiage of certain lines to make sure we said stuff like “boat” instead of “full boat” because it just sounded better. I was on hand to answer questions from Aaron, the Assistant Directors, and any member of the crew with regards to what would look right or if it was okay to do this or that. As soon as Aaron yelled “cut,” we descended on the table and reset. Had you ever been on the set of a Hollywood movie before? The set of a movie is a different world, but a hard working one. Of course, most people see glitz and glamour. In the actors, I see a relentless strive for perfection and just plain hard work – over and over again. They take their jobs very seriously; it’s hardly about the fame. Jessica, in particular, seemed very humbled by the production. She was engaged in her craft, taking instructions in a tremendously stressful and professional atmosphere. There’s so much to do and so little time as producers always seemed to be pacing around, hoping to stay on time and on budget. I imagine it’s likely that many of the actors, both with major and minor roles, didn’t know too much about poker. To what extent did you have to teach them about the game? Prior to new actors arriving for days of shooting, we would be delegated to assessing their abilities. Angela Gotts, who played “B” in the movie, had dealing experience but relied upon us to refresh her on skills and tricks of the trade. We taught her the different ways to spread out a flop and which ones would look best on camera. He helped her brush up on riffling, stripping, and cutting the deck, even fanning out the cards smoothly and consistently for each of the endless takes. Chris O’Dowd, who played Douglas Downey, also spent hours with us learning the game and some table technique. Jeremy Strong (Dean Keith in the film) came to the set never having played and spent a few days in Vegas playing in some Bellagio cash games to research his role. He taught himself how to move the chips between his fingers (featured in a shot) and we had to teach numerous actors how to shuffle their chips and flip them around for authenticity. In between scenes and during camera turn-arounds, we retired to a poker table set up on the sound stage floor and we just played. This gave the dealer a chance to practice and players the chance to loosen up and practice their look. I presided over these impromptu games and offered advice to those who wanted it. Developing a rapport and confidence working with principal actors was experience unto itself. In one instance, Jeremy Strong asked very privately that if I ever saw something he needed work with, to approach him confidentially and professionally so that he could work it out. After filming a scene that we worked on for hours, I walked up to him and reminded him about what he had said. He said, “Sure, what is it?” and I simply said, “you nailed it, buddy.” He really did. The bro hug ensued and he thanked me for the boost. The gaming arena was new to him and he showed his appreciation. I’d like to think that’s why we were there on set. Jeremy, in particular, wanted us to keep the action going and he played in mini sit n’ gos rather than hide in his trailer. He wanted to live the role, so that really added to the atmosphere. His acting method was very refreshing; a lot of yelling and swearing right before “action” to help get into character. He’s a true professional. I also just have to say another thing about how totally awesome Jeremy Strong was. While we were playing poker between scenes he mentioned to the rest of us at the table – Michael Cera was sitting with us as well – that he was hungry. Then he yells out, “Quick, someone tell me the best pizza in the city.” He Googles it and orders 15 pies to the set, whips out his card and invites everyone to eat! So cool. The next night, he does the same thing again, except this time he yells out “Best Chinese?” Within an hour we are chowing down on some great take out again. Such a class act. 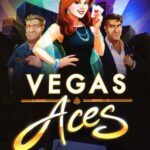 A number of well-known poker personalities, including Mike Sexton and Jennifer Tilly (herself a famed Hollywood actress, of course), while giving the movie a big thumbs up in general, came out on Twitter as somewhat critical of a couple of the poker scenes and related details. Just after we connected on Facebook, you created a Twitter account so that you could personally address the pertinent issues. What sort of say did you have as the film’s poker consultant? Specifically, what was the dynamic like between you and Aaron Sorkin when it came to the poker scenes? We got to a part of the script that depicts the sheer size of the game at one point. A narration by the Molly role described $1.3 million in the pot and the scene opens on the flop. While blocking the scene (which is my time to interact with Aaron) I described how weak a $100k or $200k continuation bet would be, not to mention the next player easing from $200k to $300k. This short raise has indeed caught the attention of poker purists and enthusiasts across the country. Yes, I loved Molly’s Game but 2 poker scenes put me on tilt: 1) player tried talking another into folding (& he did) where they said he was folding ‘the nuts’ 2) pot was $2.1m-1st guy bet $200k & next guy raised $100k! This couldn’t/wouldn’t happen. I loved it too, but other errors: 1.) Using generic Walmart chips in early games 2.) Smoking and using same chips at Commerce Club … also pretty sure dialogue revealed their fictional WSOP champ (who represented Jamie Gold) hung himself in the shower. He knew something. He knew the process. Filming the scene in cuts and pieces I have to say that it felt wrong. It felt like I’d sacrificed my reputation. I immediately knew that my own buddies would be like “what was that?” But when a director tells you “enough” – after you’ve offered input – you simply must stand down. Aaron later approached me and apologized for cutting me off. He explained that in editing it would flow a lot better than it looked or felt. He also cited “Hollywood creative license.” After seeing the final product, I have to agree. It was of course caught by the most discerning of viewers, but I contend that the movie was made for the masses and to a much larger degree the viewing audience would know what we were after. That did not necessarily mean catering to the .001% of the audience who would grade the film on that particular bit of accuracy. What about the scene at the Commerce Casino where everybody was smoking right at the tables? ? Also the plastic chips at the “no expense spared” home games. A little research wouldn’t hurt. As for smoking at the Commerce, again… Hollywood. As a matter of fact, on that day of shooting Aaron verbally told everyone: “Play. Drink. Smoke.” The story hardly needs that level of scrutiny. The unique angle this film has taken is one of complete inclusiveness; a first for the poker genre. 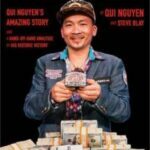 The narration and graphics actually bring viewers into hands and outcomes and explain them to even the most poker illiterate of viewer. It captures their interest and invites them into the action. The pace at which Aaron Sorkin-style dialogue jumps just lent itself to bridging the gap between not only the poker enthusiast and the mass audience, but it also helped to Band-Aid those particular poker fouls and made them virtually unnoticeable but to a few sharp experts. Even with the classic poker film Rounders, you’ve got players out there who choose to be critical of some of the scenes, mocking John Malkovich’s attempt at a New York Russian accent, arguing about what proper bet sizings ought to have been, that Teddy KGB dealt instead of a proper dealer, etc. 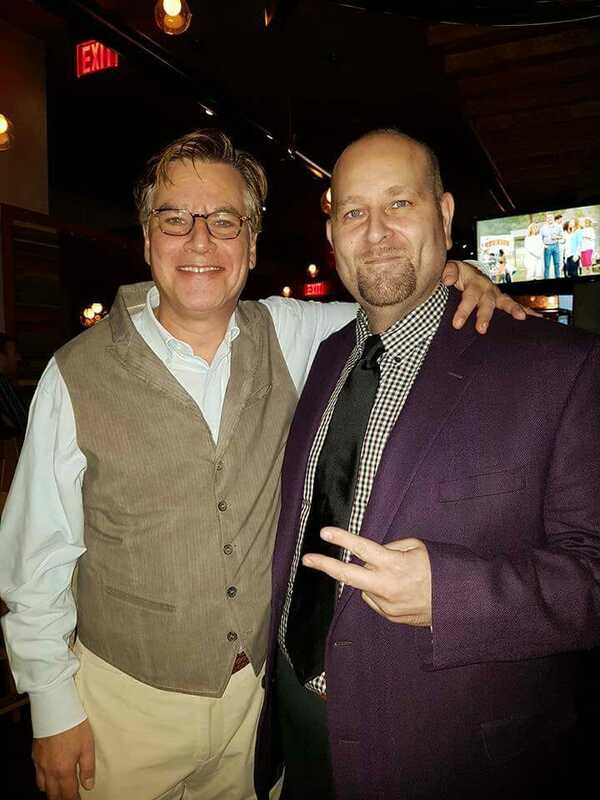 When you’ve got a genius like Aaron Sorkin at work, you don’t stand in his way. He knows what he’s doing. Molly’s Game is not a poker movie, but it helps to explain the game to the masses in a way they’ll understand and identify with it. What a novel idea! I personally think it turned out great. At the end of the day, I was vetoed. Perhaps I could now show Aaron all those Tweets and say “See?! This is what I was trying to tell you that day you cut me off… I’m getting crucified out there!” In all likelihood, he’d just reply, “but they all went to see it, Josh.” Of course, I’d smile, in agreement. You get several cameos in the movie. How did those happen? Were you asked or did you ask? The production crew put out a casting call for people with the right poker background and special skills. Most of the players selected were people I had known from the industry. Aaron merely suggested that, being a poker culture guy, I should be in this thing. He intimated it was his way of saying thanks for a job well done. And “just like that” wardrobe and costume design were measuring me for clothing. I had six days of shooting on-camera work in several different LA gaming scenes. My wife and kids got a real kick out of seeing me on screen acting with primaries like Jessica, Jeremy, and Michael Cera. It was a real treat, but believe me when I say that the work I did behind the camera filled up the overwhelming majority of my time on set. Have you got any funny stories to tell about what went on behind the scenes during the making of the movie; perhaps a funny blooper that didn’t make it to the final cut? I don’t know of any blooper reel per se, but for the LA poker scenes Aaron wanted to film some footage of us just playing. He wanted to capture the sounds of the game; the dealing, the betting, the pot taking, the grunts and screams. I even stepped in to deal some of this action. I noticed, between shoots, Aaron looking over at the boom mic operator and the “B” cam guy just saying “Get it.” Most of the players didn’t even realize they were being filmed from angles including from above. Cut-ins of me shuffling and my hands presiding over the table made it into many shots. The action wasn’t canned; it was all very real. At one point Aaron wanted true authenticity and a level of competition that could not be attained from practice hands and formulated lines. So, he came onto the Cobra-lounge set and asked me if I had any suggestions. The underground guy in me said, “Let ‘em play for something, like an acting credit.” Aaron said he liked that. “Money,” I then suggested. Aaron liked that better. Indeed, just as he was quoted saying in Rolling Stone, he announced to the room that he would put up $2,500 to play for. He told everyone that he wouldn’t say when he would stop play, but that the guy with the most chips when he stopped the proverbial music would win the money, right from his pocket. The table instantly got serious and it played off perfectly. There were all-ins and aggressive plays of desperation from short stacks. There was tight play and great authentic poker action… all caught on film. And sure enough, he came in and stopped the clock roughly 30 minutes later and declared a winner, to whom he handed a cheque. What Aaron didn’t know, however, was that, before even starting to play, everyone at the table had agreed to a four-way chop for whomever would have the four biggest stacks when Aaron returned! In the movie’s credits, you’re listed as a “technical advisor.” Why do you think they didn’t use the term “poker consultant,” as was done when Doyle Brunson had a similar role in 2007 in Lucky You? To be honest, the role of a “technical advisor” is more common to TV and film production. Hospital TV shows always have doctors and nurses on hand to help actors look authentic. FBI movies often have firearms experts and agents on hand to help depict what actions should look like. These are widely known as technical advisory roles. That’s the way the production company labels the job description. “Poker consultant” was actually a term adopted by Aaron himself. In an interview with Us magazine he spoke of seeking advice from Molly Bloom on how to depict the poker scenes. Her answer was to “be authentic,” so Aaron described hiring a “poker consultant.” I like the ring of that a lot better. Quoting from your Facebook comment via which I first got in touch with you, you mentioned that you feel the movie represents “rare instance where the book isn’t better.” Do you feel that way because you worked on the movie or are there other specific reasons? I grew up in the media age. For me, watching the film was always more fun than reading the book (even though your parents and teachers always said the book was 10 times better). Quite simply, Aaron Sorkin is one of this era’s most talented and polarizing screenwriters. His walk-and-talk, quick-response, and witty style is famous the world over and this movie is no exception. There are many literary references in the film that truly define and deepen the themes in the movie as well as its characters. The book has often been categorized as a bit of sensationalist exposé and tabloid-type stuff, which has many readers describing Molly as the “Heidi Fleiss of poker” or “poker princess.” This film works very hard to dispel that myth and go way beyond its text to create a character arc that far surpasses the level of integrity and substance of character that the book ever does. The movie is not a mirror of the book at all, and is thus a rare case where one may agree that the film simply is better. What were your impressions of Molly, having met her in person? In light of getting to know her personally, what’s your opinion of Jessica Chastain’s portrayal of her on-screen? I got to meet Molly Bloom at the World Premiere at the Toronto Film Festival back in September. The Canadian government allowed her to come into the country for 24 hours to be part of it. She sat one row in front of me and my wife, amongst the cast and production hierarchy. I said to my wife, “Oh my god, that’s Molly!” She was very unassuming and wanted to remain anonymous. I introduced myself prior to the screening as “the guy Aaron brought on for poker consulting.” She was polite, beautiful, and said “I’ll let you know I think.” After the movie ended, she told us that she loved it. It was amazing to watch her story on screen but was just floored that she took the time to say that we nailed the poker stuff and pay us that compliment. There was zero diva factor about her whatsoever, and it was very easy to quickly pick up on her intellect and smarts. She was an impressive person. Any final thoughts you’d like to leave us with, perhaps some reflections on the overall experience now that it’s behind you? We filmed some scenes in Toronto’s Royal York hotel. I got to take a private elevator up to the top floor suite, where Hollywood’s elite were working right under the city’s nose. The entire gig was like living a dream. I was treated by production team as a VIP… and the catering! Just, wow! I don’t really get starstruck, so that helped me function during the day-to-day work. Nonetheless, I feel so lucky and privileged to have been a part of it and I miss it tremendously! It was such a precious opportunity to have had. I walked to my car and had a cry. An amazing chapter of my life was over.